Since September 2009 I started composing songs, (melody & lyrics). It took a great deal of experiment and mixing colors until I reached the ultimate result. I fell in love with this painting and I hope you will fall in love with it as well. 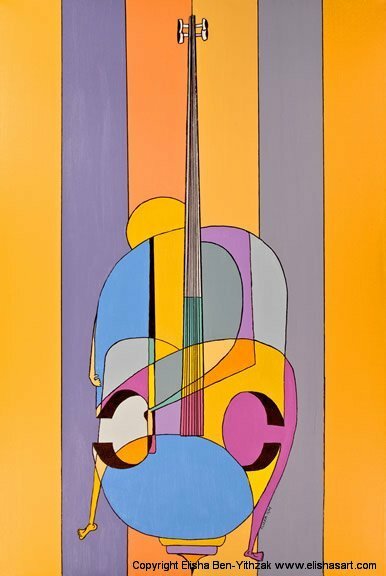 The painting depicts a person playing on a cello.